The engagement period is a spiritually crucial period. Read all the laws and customs associated with this time, as well as information which will help you plan your meaningful Jewish wedding. What relationship is the bride and groom meant to have with each other during the engagement period? How are they to prepare themselves spiritually for the most important day in their live? 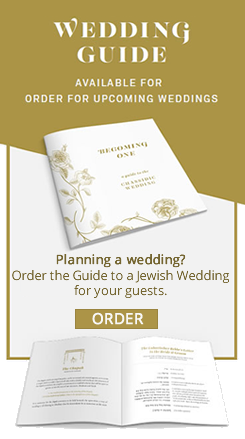 Wedding date planner, wedding checklist, honoree checklist, and more necessary information for planning a Jewish wedding. Customs for the week preceding a wedding, as well as the bride's and groom's celebrations on the Shabbat before the wedding. 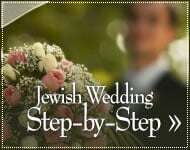 The traditional procedure followed by the Jewish bride and groom on the day of their wedding.